The Protectowire FireSystem 2000 is a fully supervised, non-coded fire alarm control panel available in multiple zone configurations. The control panels are modular in design and feature individual control modules designed to meet specialized system requirements for commercial, institutional and light industrial applications. 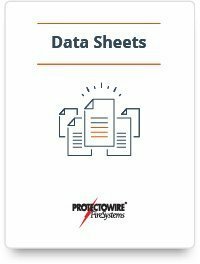 Download our data sheet to learn more about the features and details of the Protectowire FireSystem 2000 Commercial and Light Control Panel.